Bolton's fixtures against Ipswich and Middlesbrough are in danger of being postponed over safety fears, the EFL has confirmed. The EFL has today been informed the Safety Advisory Group (SAG), responsible for issuing the general safety certificate at Bolton, has placed a prohibition notice preventing fans from entering the ground, with stewards and safety staff refusing to work until they are paid. As a result, all supporters will be prevented from entering the University of Bolton Stadium for Bolton's next two fixtures unless the club can demonstrate that the stadium can deliver the matchday operation to the standard required. Saturday's clash with Ipswich could go ahead in an empty stadium, but it is currently unclear whether the EFL would allow such an event to take place. An EFL Spokesman said: "Whilst disappointed, the EFL understands the rationale for the position taken by the SAG at this time. However, we still hope the fixtures will take place as planned. We will work with the Club and offer them any practical assistance that is available to us in an attempt to find a successful and timely resolution to the issue." 2:27 Highlights of the Sky Bet Championship match between QPR and Bolton. 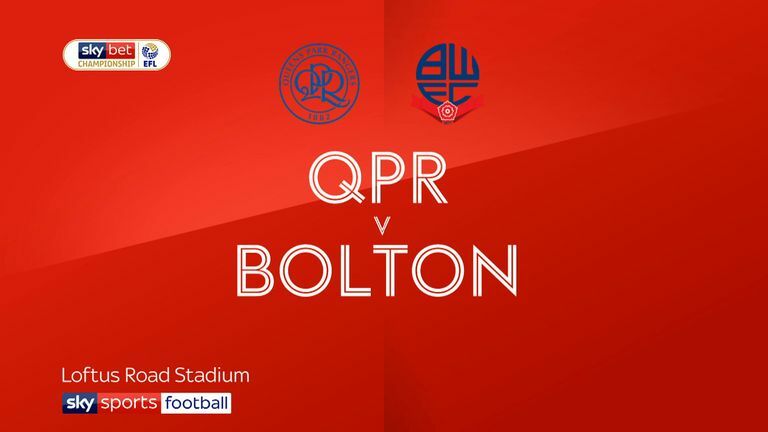 Highlights of the Sky Bet Championship match between QPR and Bolton. Monthly wages were due to be paid last Friday but staff were still waiting for a payment to hit their accounts on Tuesday. In a further blow, the club had been planning a community day on Saturday, with tickets sold for £5, boosting the potential attendance to over 17,000 for what would be a crucial relegation clash with Ipswich. For that game to take place, Bolton will have to provide assurances it can safely host them. Bolton are back in the High Court tomorrow, facing a winding up order from HMRC. This could lead to a further extension of the case, club being put in administration or even liquidation.